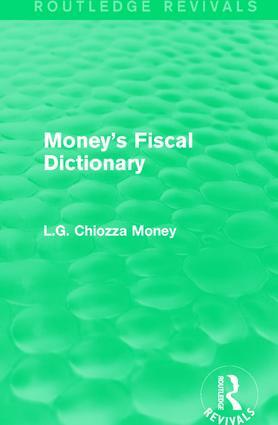 Money’s Fiscal Dictionary details information about fiscal terms in encyclopaedic format in relation to British industry in 1910 when originally published. This text originally began as a column in The Morning Leader but was expanded upon to present this information in a more accessible and convenient way. This title will be of interest to students of Business and Economics.